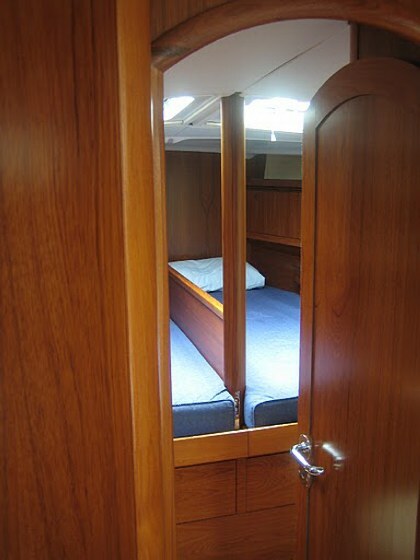 Charlie Hussey an expert Marine Carpenter based in Devon, UK designed and built this fabulous upgrade. 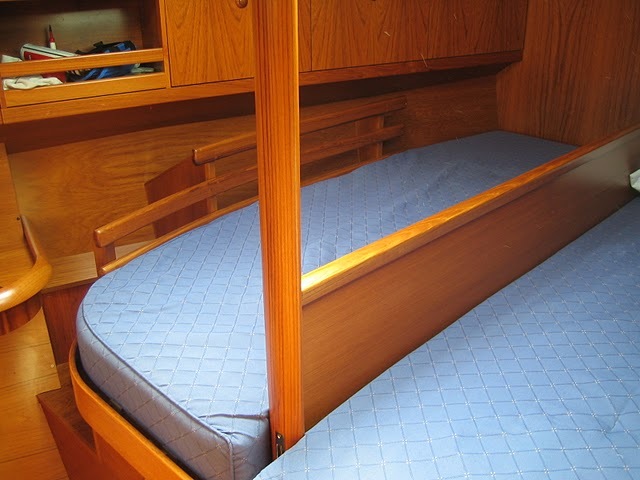 This commission was for an internal upgrade to a fairly new Jeanneau Sun Odyssey 49. The design brief, for a set of removable berth boards, was to make them look 'as if they were fitted in the factory when the boat was made'. A common problem with many of the larger production boats is that the luxurious double cabins (this one has three) are fine while at anchor or in the marina but not much use at all while on passage in a seaway. This particular example, Erin, gets raced across the North Sea, often in rather nasty weather. On passage a way of making up workable sea berths is essential and after a couple of seasons making do with makeshift plywood panels John had decided that it was time to do the job properly. I think that Jeanneau should offer them as a ‘passagemaker upgrade’. 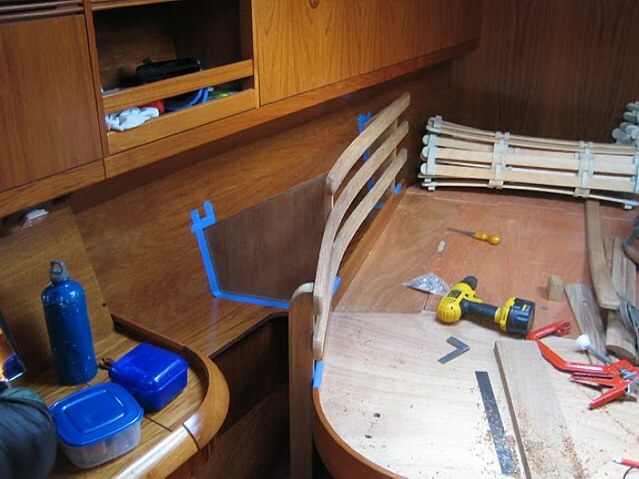 For a small independent boatbuilder – making up moldings to match the large radius curves (70mm section radius) used by Jeanneau is a bit of a pain. Router bits don’t come that large and even 40mm or 50mm spindle moulder cutters don’t do the job. 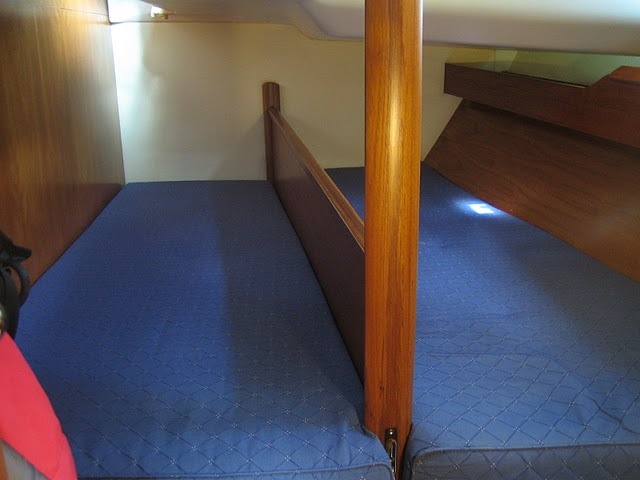 The island double in the forward master cabin needed side rails to stop to occupants falling out of the side of the berth. The berth was angular but I made the side rails curved. I had to make these permanent – but the supports should hold stuff in place outboard of the berth. The main removable posts holding the berth dividers had large radius faces on both sides to harmonise with the door frames. 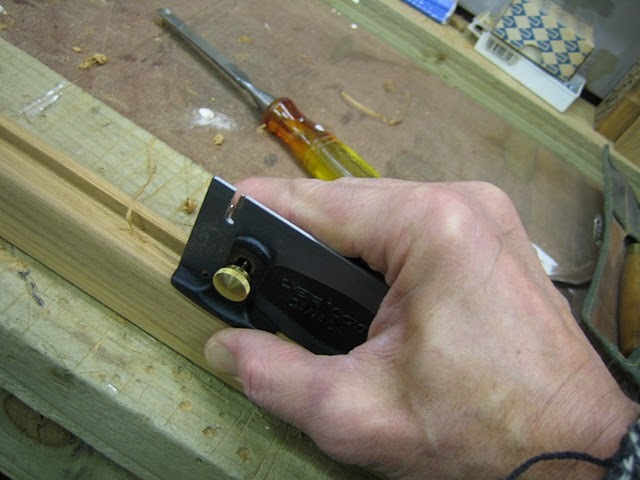 The teak faced ply used for the dividers was, you guessed it, oversized – so the 12mm routed grooves needed opening up a bit (have you ever found a 13mm router cutter?). This side rebate plane from Veritas worked a treat. Once finished in satin varnish I was quite pleased with the result. More importantly, so was the client. The berth divider boards, by the way, are held in place by removable metal pins between the berth base and the divider base. 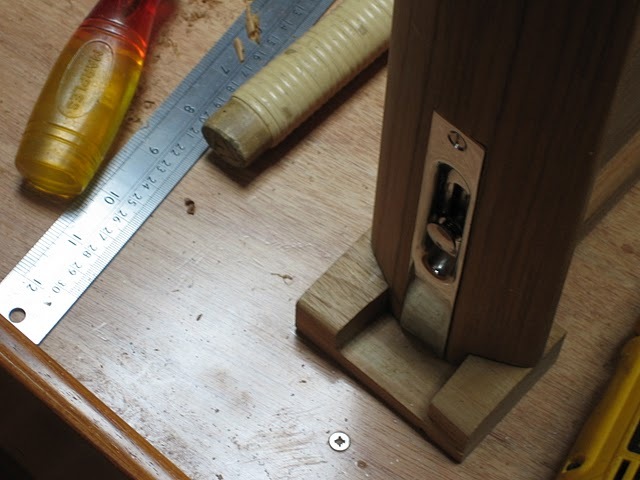 The main end posts are each secured by a teak socket at the top and a teak slot and single recessed bolt at the base. Any other takers for the passagemakers upgrade pack?